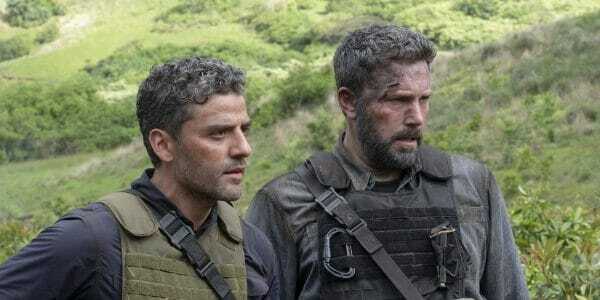 One can’t exactly call 2019 Netflix original ‘Triple Frontier‘ a whimsical good ol’ time at the movies. Digging deep into the hearts of men this morality thriller goes pitch black. However, piercing performances, clean direction, and stirring action will keep you looking on in rapt, uncomfortable attention. Filmmaker J.C. Chandor has made a career dissecting the baser instincts of humanity. Working alongside scriptwriter Mark Boal, Chandor tackles how desperate men handle overwhelming greed pit against a lifelong commitment to noble, heroic duty. It’s an illuminating treatise. 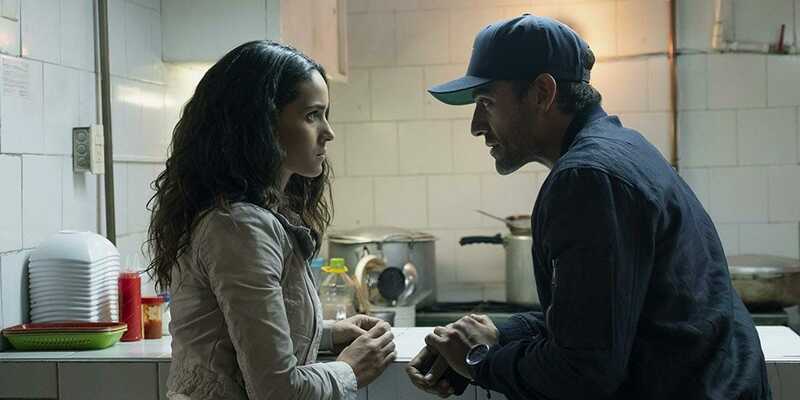 Pope Garcia (Oscar Issac) while working as an adviser to an unnamed South American government uncovers the forest hideaway of a local drug cartel boss and his millions of dollars. So he enlists a group of fellow American ex-soldiers in hope of taking this evil drug lord out and liberating those ill-gotten gains. 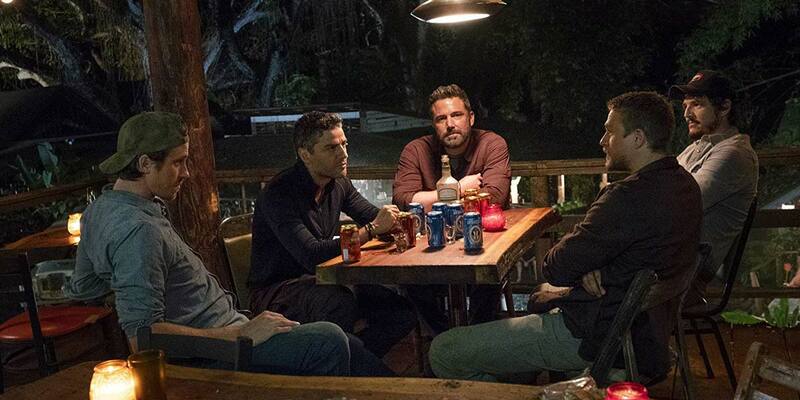 At the forefront is struggling burnout Tom Davis (Ben Affleck) whose brilliant mind is needed to mastermind the heist. With listless Army recruiter William Miller (Charlie Hunnam), his brother and local MMA scrapper Ben Miller (Garrett Hedlund), and buried in legal trouble pilot Francisco Morales (Pedro Pascal) along for this get rich or die trying ride. Little effort is spent developing characters or motives. A dependence on well-established genre tropes is required to sell the shameful plight of post-combat soldiers in America–a topic Boal and his producing partner Kathryn Bigelow are well versed in. ‘Triple Frontier‘ uses the on-screen action and sacrifices alone to display all necessary character beats. In predictive fashion, once this faraway mission commences things rapidly unravel. These five warriors must traverse dense tropical Rainforests, rocky ice-capped mountainscapes, and local peasant militia armies to escape with their money (and their lives). Along the way each of these once-heroes must decide what they’re willing to do and risk for this blood money. How many people killed are too many? Weary warriors Pope (Oscar Isaac) and Tom (Ben Affleck) reflect. One last celebration of past glories. Pope uses local “assets” to help his cause. A battle hardened resolve to get what’s owed–consequences be damned. Nothing about the production indicates made-for-television. Roman Vasyanov’s breathtaking cinematography well captures the expansive, shot in Columbia/Hawaii settings, as well as more intimate character revelations. While the Metal (80s era Metallica!) infused soundtrack and Disasterpeace’s score wholly suit the macho themes and pulse-pounding action. Affleck and Isaac provide most of the gravitas–tap-dancing through the grim moral grey-area of the unfolding crises. Yet, the remaining cast effectively handle their duties in underwritten by time constraints roles. None are the men they want to be; however, throughout this journey each will have a chance at some small redemption. 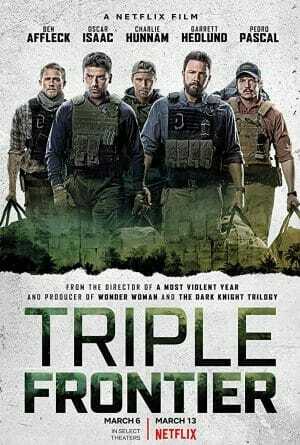 I’m impressed at how deftly Chandor handles the dicey themes of ‘Triple Frontier‘. 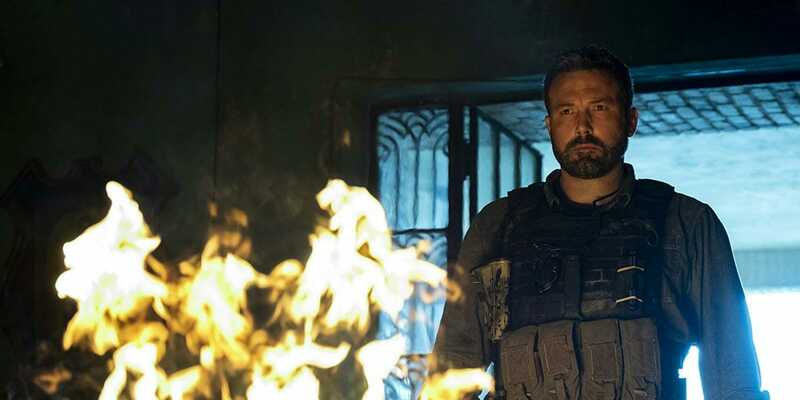 Despite paper-thin characterizations, the tension, action, and drama are balanced enough to stir any lingering doubts about right and wrong in a world fueled (mostly) on the acquisition of wealth, regardless the means. An unflinching commentary on the dark side of human nature presented as an action-packed, scenic vista laden, heist thriller. With steely performances and a stellar production.